£17.50 each & FREE Delivery in UK. 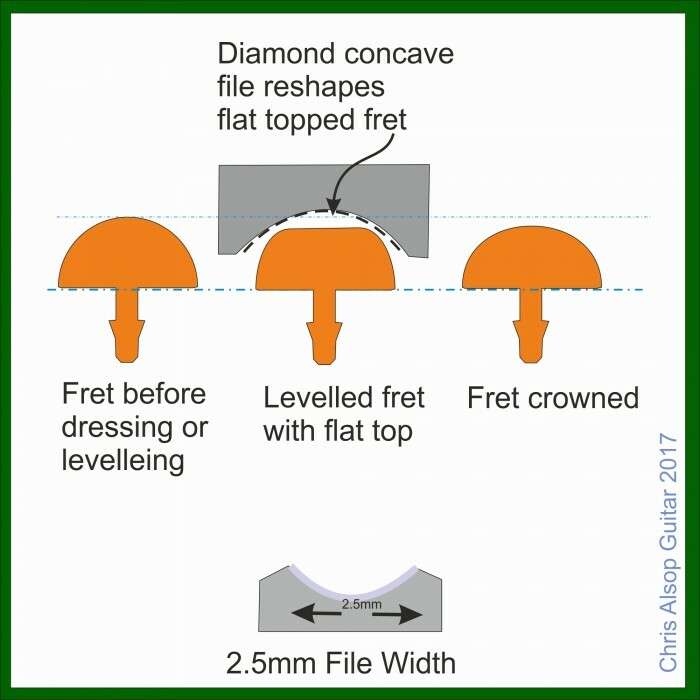 This is a diamond fret crowning file system where the files are a diamond file with a concave profile is mounted in a rigid polymer blade. 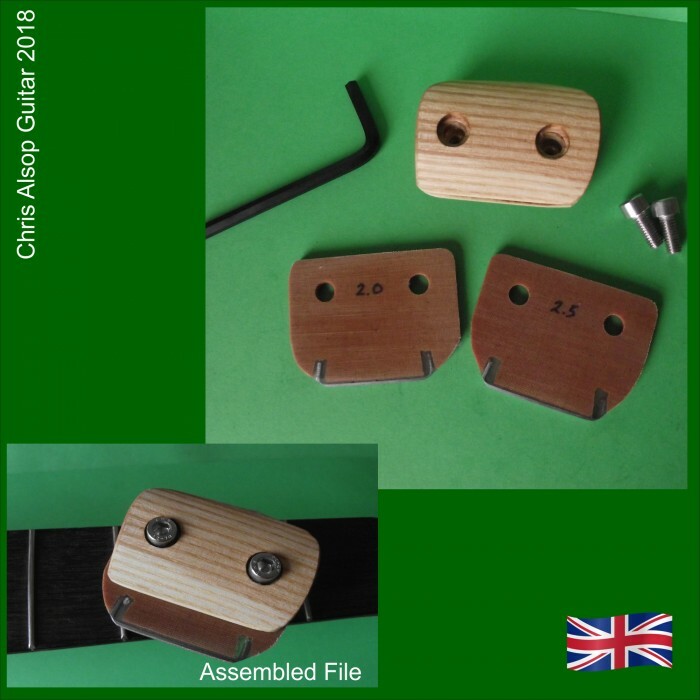 These files can then be mounted in either a small oak handle or large beech handle (see Model TF080). The tool can be purchased with any number of files, with or without the handle. You can select from the following sizes: 2.0mm, 2.5mm and 3.0mm wide. The files are all interchangable with the a simple hex bolt and key mechanism. Being a diamond files they cut equally well when moving forwards or backwards and unlike traditional files there is NO CHATTER (ie juddering) with diamond files. Diamond files leave a smoother surface meaning less finishing of the fret. 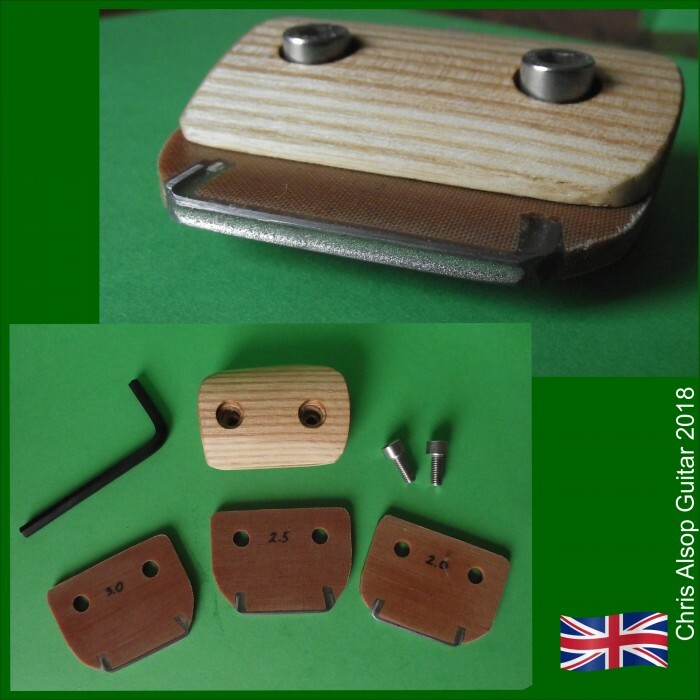 The smaller oak handle is a new design and gives a handy, pocket sized tool. The larger beech handle is one of our well established diamond crowning files (see Model TF080). If you are new to diamond files and wish to give then a try before committing to the complete product, you can purchase the a single file, without a handle and then purchase a handle later. The same files fit both handles. These files last for many fretboards : diamond is the hardest known substance known and many little diamonds are embedded in a surface plating. As the surface wears new diamonds are exposed. 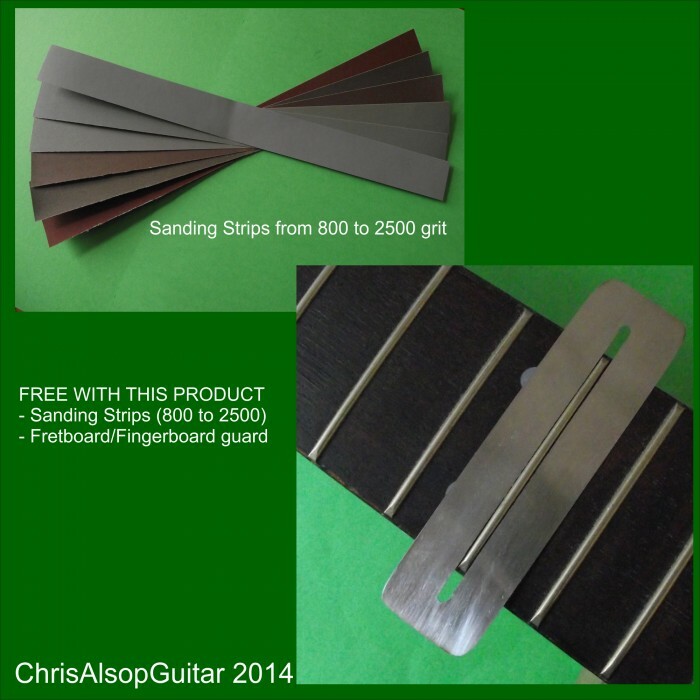 They are equally long lasting on stainless frets and normal nickel silver frets. • The concave part of the file is about 0.5mm deep. • The blade is attached to either handle handle by hex bolts and so can be exchanged. 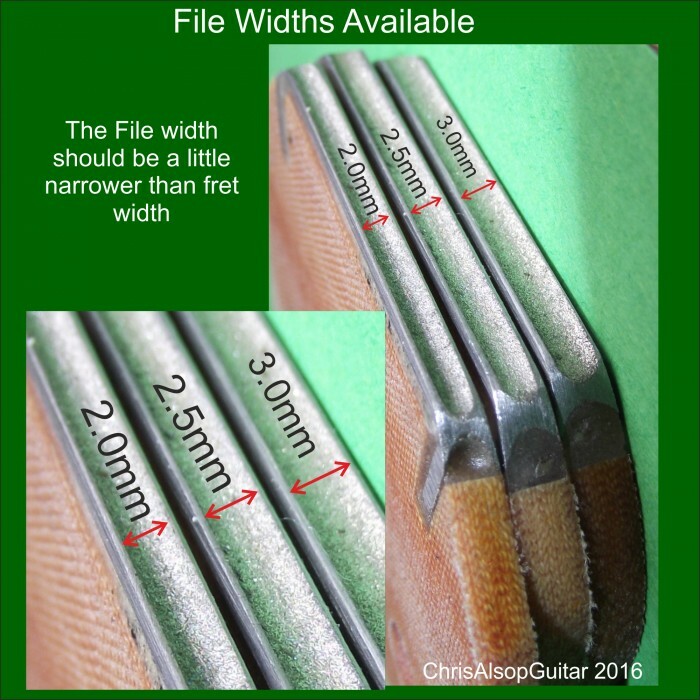 • The diamond file is concave to match the fret profile. When in use, the file stays on the fret very well and there's no chatter. Being a diamond file it cuts equally well when moving forwards or backwards and unlike traditional files there is NO CHATTER (ie juddering) with diamond files. Diamond files leave a smoother surface meaning less finishing of the fret. 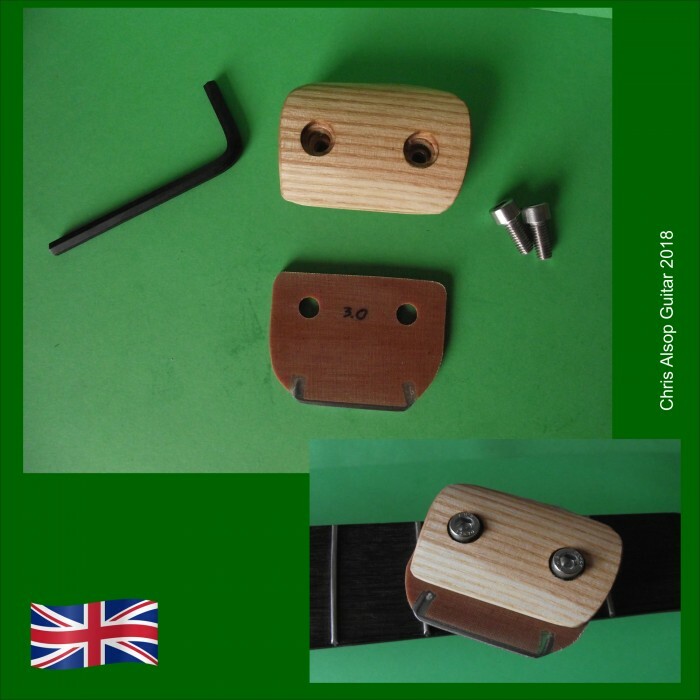 We have used Oak and Beech for these product handles as both are a strong wood. The beech is fine grained which is nice for rivetting. Diamond Files are really the best surfaces developed by mankind for abrasion - the resulting surface is by far the smoothest hand filed surface possible - hence less finishing and polishing!